What is the Top Gun Championship? What are the BassFan World Rankings? How are World Rankings different than point races? What is the BassFan Army Weekend Warrior Championship? What is the BassFan Rookie of the Year Race? Can I reprint or use BassFan.com content? Can I put a link to BassFan.com on my website? How do I get on the BassFan media release list? The Cabela's Top Gun Championship was created by BassFan to answer the same important question addressed by the BassFan World Rankings: Who is the best angler in the world? With more and more of the world's top tour pros splitting down league/tour and boat-company lines, each tour's championships cannot field the world's top pros. The fans, pros and industry wanted to see a Super Bowl-like event combining the best from both tours, so we created it. Top Gun fields the Top 25 pros in the world from both tours, as determined by the BassFan World Rankings. For more information on Top Gun, click here. To visit the Cabela's Top Gun Championship Media Center, click here. The BassFan World Rankings were the first and still are the only statistical, multi-year, cross-tour rankings of professional bass anglers. They are also the sport's official rankings. (Important note: After the BassFan World Rankings debuted, the leagues began calling their single-year point races "rankings." But single-year point races are not rankings. All rankings in major sports are multi-year because that is the only way to measure performance over time.) The rankings are updated after each tour event and after the three major championships. For more about the rankings methodology, click here. To view the current BassFan World Rankings, click here. Some confusion exists in this sport on this point because World Rankings are still a relatively new concept to professional fishing, and because the leagues started calling their single-year point races "rankings" after the BassFan World Rankings debuted. The two leagues  BASS and FLW Outdoors  each have single-year point races, often called Angler of the Year races. These are used to determine various things, like Angler of the Year (most points in the regular season) and championship qualification. But neither league counts its championship in its point calculations, and rankings in all professional sports are multi-year simply because that's the only way to show consistent performance over time. The proprietary BassFan World Rankings use a rolling 2 years of tour-level performance data. That term and the rankings' other parameters were decided upon after months of research and testing. 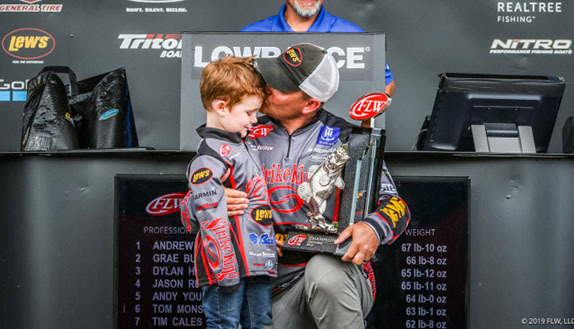 The BassFan Army Weekend Warrior Championship represents the first time in the history of bass fishing that a world champion is crowned from the weekend warrior ranks. Tour pros are not eligible to fish it � only "weekend warriors" who compete in the major regional circuits from around the country. For more information on the BassFan Army Weekend Warrior Championship, click here. For more on the BassFan Army grassroots membership program, please go to BassFanArmy.com. The BassFan Rookie of the Year Race was the first rookie race in professional bass fishing, and is the only cross-tour rookie race. 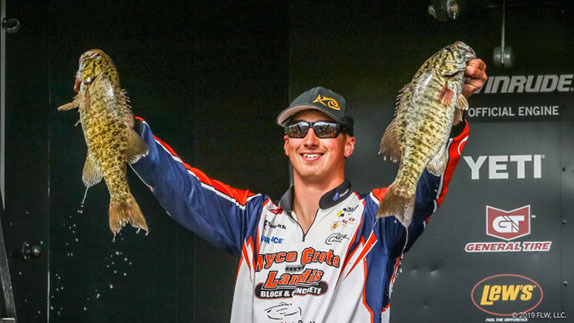 True rookies  they cannot have fished the pro (boater) side of any tour event before  who fish one or both tours are ranked using a methodology similar to the BassFan World Rankings, and the winner of the regular-season race is the best rookie in all of tour-level bass fishing. BassFan Rookie of the Year standings are updated after each tournament. For more on the BassFan Rookie Race, and to see the current standings, click here. How can I get an interview with an independent observer of professional bass fishing? During the tour season, BassFan sends objective news-oriented content � including World Rankings and Rookie of the Year standings updates, and news leads and tidbits � to over 200 media outlets. For this purpose, BassFan CEO Jay Kumar and COO Scot Laney are your best bets. The best way to reach them is via email. Contact them at info@bassfan.com and they will respond quickly. All accredited print and electronic media (web and TV) are permitted to reproduce and use the BassFan World Rankings standings and text and BassFan Rookie of the Year Race standings and text without needing permission from BassFan. Please mention the full name  e.g., the BassFan World Rankings  and credit BassFan.com. Accredited media are also permitted to excerpt or paraphrase any BassFan.com or BassFan Radio content provided that credit is given to BassFan.com. Please note: If you have a web site, you are not necessarily accredited media. If you have any questions about whether you qualify as accredited media, please email newswire@bassfan.com. Copying, reprinting or otherwise using copyrighted BassFan content (including all BassFan points methodologies) except as provided for herein is expressly forbidden. Any use, storage or publication of the BassFan.com content that is not authorized by BassFan LLC is illegal under U.S. and international law and will be vigorously prosecuted. Please see the Link to BassFan page. 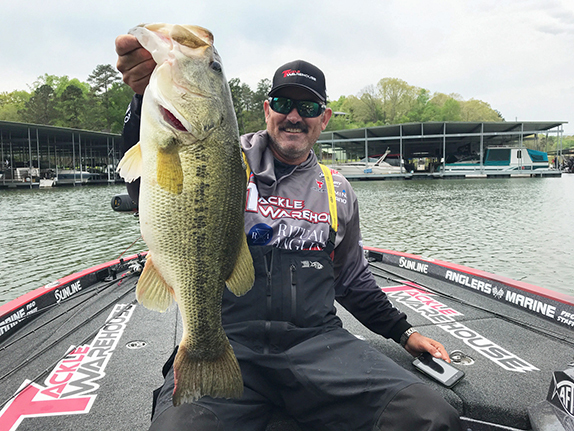 During the tour season, BassFan sends objective news-oriented content  including World Rankings and Rookie of the Year standings updates, and news leads and tidbits  to nearly 200 media outlets. If you would like to join the list, please email your name, media affiliation and contact information to newswire@bassfan.com.